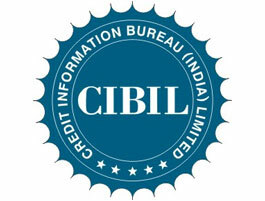 A bad CIBIL score can be a nightmare for the people who have urgent need of money. The scoring pattern of the CIBIL score ranges on a point scale of 300 to 900 with 300 being the lower end of the rating scale and 900 points being the highest creditworthiness rating scale of the individual. The higher score an individual is able to gain, the higher the probability of attracting lenders to queue up to offer better and better deals on loans. Paying off credit card dues is a vital key to improve the ratings. Planning on credit card spending in such a manner that you clear off your credit balances before the due date. This will go a long way to positively reinforce the CIBIL score. An individual must confirm that any errors in his credit report must be appealed by the individual on the CIBIL website, Errors may occur as lenders may make some typographical data entry errors and even software’s are not immune from errors. If any appeal is pending the concerned lender must address it within 30 days time frame. Once the error is rectified the credit score gets automatically updated. When big purchases are made by the individual like purchasing a car, house, land, the individual will not be eliminated from consideration if he is prompt in paying EMI’s on credit card accounts. So, paying EMI’s of past bigger loans on time will help in improving your track record to pay bigger amounts and thereby getting a higher CIBIL score/rating. In case an individual has a bad CIBIL score, then getting a secured card from leading banks against a fixed deposit is the way to go. When we repay our balances on time, the CIBIL score spikes high. We can improve CIBIL score by using a peer to peer lending platform. Unlike Banks, various P2P platforms lend allow people with a poor CIBIL score to register on the platform as long as they have valid reasons for their credit history. Scoring high on the CIBIL score is an indicator of an individual’s disciplined expense and repayment behaviour and effective management of finance at disposal.